If you’ve been given a traffic ticket in Pinellas County, Florida, you need to take the right steps to avoid going to court and to keep points off your license. Most traffic offenses are civil infractions, such as speeding or careless driving and can be dealt with outside of court, saving you time and money, along with keeping your driving record clean. Check the back portion of your ticket for important information on the qualifying infractions and make sure to choose from the below options before the deadline elapses. There were 61,481 traffic tickets issued in Pinellas County. Out of those tickets, 18,958 were for speeding and another 13,165 were for careless driving. Another 4,845 were given out by the red light cameras. Only 7% of all the tickets issued were dismissed and 15,339 drivers opted to take traffic school instead of allowing points on their license. After pleading no contest or guilty to your traffic ticket in Pinellas County, you'll be able to find out if you qualify for traffic school. If you're eligible, you can use the BDI Course to keep points off your license and keep your insurance rates from going up, in accordance with Florida statutes. After successful completion of the course, you will need to return your certificate of completion to the Pinellas County Clerk's office. Are you Eligible to Attend Traffic School in Pinellas County? Many drivers miss the opportunity to remove points from their license in Florida because they are unaware they can use traffic school online. The State of Florida allows you to take the course once every 12 months and up to five times in your lifetime. Before allowing any more points on your license, make sure you inform the Clerk of the Court you will be attending traffic school. 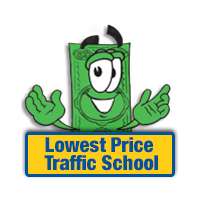 Pinellas County Traffic School Online - why is it important? The county seat of Pinellas County is Clearwater, Florida, but the largest city is St. Petersburg. Clearwater is known for some of the most beautiful beaches, while St. Petersburg is home to the Tampa Bay Rays Baseball team. Many other attractions are also found throughout the area. Pinellas County has a population of 960,730 residents and covers 608 square miles of space. It's home to a number of colleges and universities including the University of South Florida St. Petersburg, Stetson University College of Law and Schiller International University. In addition, the county is home to many museums, performing arts venues and other attractions. Three interstates run through the area including I-175, I-275 and I-375. Many other major roads also run through the county including US-19, US-92, SR-60 and many more. The beautiful beaches and many other attractions bring thousands of visitors to the area every year. The colleges and universities attract many younger drivers to the area every year. Accidents throughout the county are on the rise. To start your traffic school course, choose a course format below. All courses cover the same material and take the same amount of time to complete. Without proper patrolling of the roads and traffic school for drivers to improve their skills, the roads in Pinellas County would be far more dangerous. In Pinellas County, the clerk of the courts handles all public records and county funds. This means all marriage licenses, jury duty summons, traffic citations and other fines and fees go through the clerk's office. Some payments and services are provided online through the county clerk of courts, as well. Whenever you need to make any type of payment to the county or you need access to public records, you will need the help of the clerk of courts. The Pinellas County Clerk of Court will handle all your need when you receive a traffic ticket. You will need to inform the Clerk's office of your wishes to attend traffic school and pay your ticket. If you need more information about the Pinellas County Clerk of Court, you can find it on their website here.